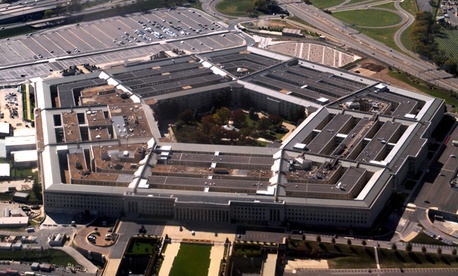 The Pentagon inspector general’s recent negative report on the revamped auditing priorities of the Defense Contract Audit Agency has prompted a fresh rebuttal from a senior Defense official familiar with DCAA. Last month, the IG reported that DCAA’s two-year-old effort to review fewer contracts and focus on high-dollar returns had missed an opportunity to save as much as $250 million a year, in part because the Office of Defense Procurement and Acquisition Policy had not performed a “business case analysis” to support the decision to alter DCAA’s priorities in choosing contracts to review. Back in fiscal 2010, when DCAA was planning the shift to focus on higher-threshold contracts for audit, the agency had “lots more time-sensitive work than we did workforce to accomplish it,” the official said. In reassigning 200 auditors to areas viewed as having potential for the highest return on investment, DCAA considered factors beyond money, the official said. For instance, the agency took into account the completion of pre-award audits,without which some contractors “can’t even get in the game,” the official said. DCAA also factored in completion of incurred cost audits needed to close contracts, without which “the acquisition process comes to a screaming halt.” Contracts in wartime theaters are high-risk and high-cost, the official said, but audits of them are needed to show “the government is still in the game with its deterrent effect” on waste and abuse. The official said the savings DCAA achieved through its reassignments of employee hours to high-risk contracts were higher in fiscal 2012 than the previous year, and, contrary to the IG’s conclusions, the efficiency of the “move of auditor resources to the right spots has proven out.” DCAA’s backlog of pending audits, the official added, ought to come down now that the agency has been given additional people and resources. Similar objections raised earlier by DCAA were included in the IG report in the form of a July 2012 letter from DCAA Deputy Director Anita Bales.